A week doesn’t go by without someone saying, “I didn’t understand how much Friends Together helps those with cancer.” That statement produces as much joy as it does concern for the staff of Friends Together. Over the past 22 years the staff and volunteers of Friends Together have given all they can to see that no one travels the cancer journey alone. 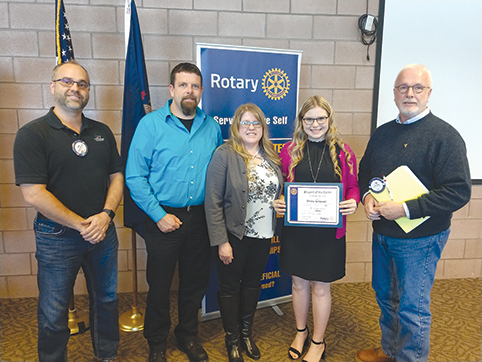 The service area for Friends Together is roughly 50 miles in every direction, covering six counties, with a main concentration in Alpena and Presque Isle. Having quality healthcare is a large part of a successful resolution to a medical situation. But healthcare is complex. Navigating the system can be a team process. If asked, the staff will easily explain the benefits for neighbors to have specialized cancer care here in Northeast Michigan. Staff will just as easily pivot to the less obvious, yet important role of the softer side of care. The softer side of care covers group support, appointment navigation and identifying resources available. Each day the office is staffed with personnel who are available to help individuals and families navigate through the array of emotions that accompany a cancer diagnosis and help to remove barriers to treatment. For example, each month there are at least 24 opportunities for individuals needing support. There are a variety of support groups to meet the needs of people facing cancer – women only, men only, couples, caregivers, survivors and grief. Groups meet in the evening, in the morning and now at lunchtime. Group support offers an island of hope in what can be a sea of overwhelming confusion and fear. It is during group that many people realize for the first time they are not alone. They learn of techniques to overcome some side effects and methods to cope with situations common with cancer treatment. Few people understand what it is to live with cancer. In groups, everyone understands. This month Friends Together is starting a brand new group, the Lunch Bunch. The organization realized there was a need to offer support during the day for men and women at all points along their cancer journey. This mixed group of individuals can make a dramatic difference in each other’s lives. Barriers to treatment are more common than the public might think. For example, cancer treatment can cause the patient to stop working. Many people have healthcare insurance through their workplace. Without a job, there is a sudden loss of income and insurance. Some treatment can make a patient temporarily feel like they have the flu. Being too weak to drive oneself to and from treatment daily for what can be five weeks or more becomes a very large barrier to continuing treatment. An inability to get back and forth to treatment, inadequate health insurance resulting in a financial inability to pay for medication, and the cost of lodging for out of town appointments can quickly become overwhelming. Friends Together can help. Friends Together is able to help hundreds of people each year because of the donations they receive. It is just one humbling area of the Friends Together organization. No insurance is accepted. No fees are charged. No payment is accepted. All assistance received from Friends Together is free to patients and their families. All of the funds used by Friends Together to help our neighbors are donated from the communities they serve. 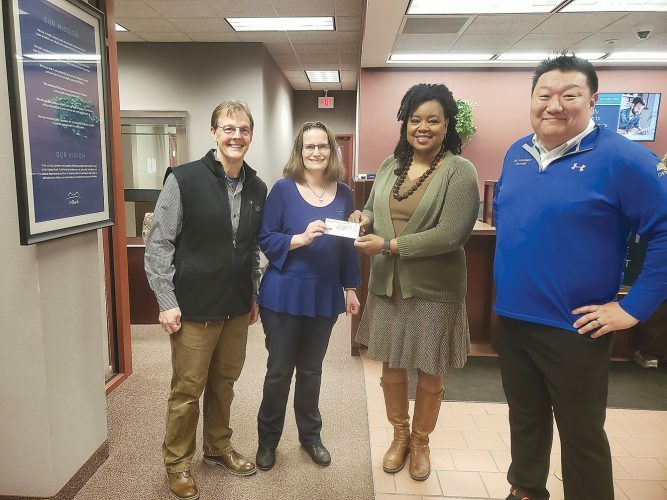 Because of the generosity of area businesses, groups and individuals, Friends Together is able to act as a single source for area cancer support. If you or someone you know has been diagnosed with cancer, consider contacting Friends Together. They cannot call you. Important privacy protection laws make it so Friends Together doesn’t know you have cancer unless you tell them. It is an important step. It is a step only the patient can make. Call Friends Together today. You need not be alone on your cancer journey. For more information, call 356-3231 or stop by the office at 105 Prentiss.